The Paris Commercial Court rejected the plan to safeguard the companies of the businessman, on which depends the repayment of several hundreds of millions of euros. The commercial court of Paris rejected, Friday, January 18, the plan of safeguarding the companies of Bernard Tapie, on which depends the refunding of the hundreds of millions of euros granted in 2008 in an arbitration which is worth to him a trial in correctional in March to Paris. The court converted this procedure into a judicial reorganization of the companies GBT (Bernard Tapie Group) - majority shareholder of Provence - and FIBT (Financière immobilière Bernard Tapie), which owns in particular the hotel de Cavoye, the Parisian residence of the couple Tapie. At the end of 2015, Bernard Tapie was sentenced by the Paris Court of Appeal to reimburse the approximately 404 million euros awarded in arbitration, including 45 million euros in respect of non-pecuniary damage. Arbitration, a private award purporting to settle its dispute with Credit Lyonnais, born in 1994 in the case of the resale of Adidas, was then judged fraudulent and annulled by the courts. 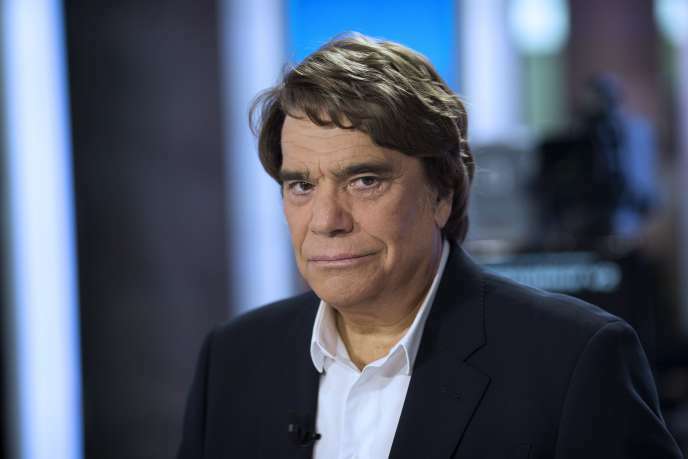 In 2015, interview with Bernard Tapie: "I'm ruined from ruined home"
But a few days before his conviction to pay back on December 3, 2015, the businessman had placed his companies in safeguard, making his assets inaccessible to creditors, in the first place the Consortium of realization (CDR), in charge of the liabilities of Credit Lyon. The decision of the court, Friday, January 18, now opens a new observation period of six months, which Camp Tapie intends to use to present a recovery plan. "In the meantime, we will see more clearly about the amount of liabilities" - the debts of the former minister subject to undisputed disputes - "And on funds seized as part of the criminal proceedings that must be used to repay", we know in the entourage of the businessman. "This delays the payment of debts due to the CDR, even though Bernard Tapie has wanted to do it for several months", we add. The court made this decision because, according to him, the plan " born [présentait] not a serious possibility for companies to be saved ". "Mr. Bernard Tapie will not be in a position to fulfill the commitments he has made"still considers the court. The asset valuations of GBT and FIBT are "Very optimistic" and "Superior to the estimates of the expert yet chosen by Mr. Bernard Tapie", notes the judge. After the rejection of a first draft by the judiciary last year, the former boss of Olympique Marseille, 75, had proposed a new plan spreading the repayment of its debt over six years, half of which paid for them. last two years.